This is the brand-new album of Sebastian Sturm & Exile Airline. Recorded live at Harry J studios in Kingston/Jamaica! Since 2006, Sebastian Sturm is an integral part of the European roots reggae scene and regularly performs on stages in Germany, France, Poland, Italy, Portugal, Austria and Switzerland. With the incomparable voice of the half Indonesian and his exceptional band, Exile Airline, their music has a distinct sound that is not usually found in Reggae. Live they convince with a variety of sounds, ranging from “Traditional” to “Modern Roots” to “Ska” and “Jazz”. With their pure energy and love for music, they are bound to captivate every audience. After producing four studio albums in Germany, “The Kingston Session” is the first production coming out of the legendary Harry J Studio/Jamaica, where Bob Marley himself recorded some of his best albums. Samuel Clayton Jr. was the key man for this link. He has worked with stars such as Steel Pulse, Toots and the Maytals, and also produced Sebastian Sturm’s album “A Grand Day Out“. After many tours, the idea for a live session developed. 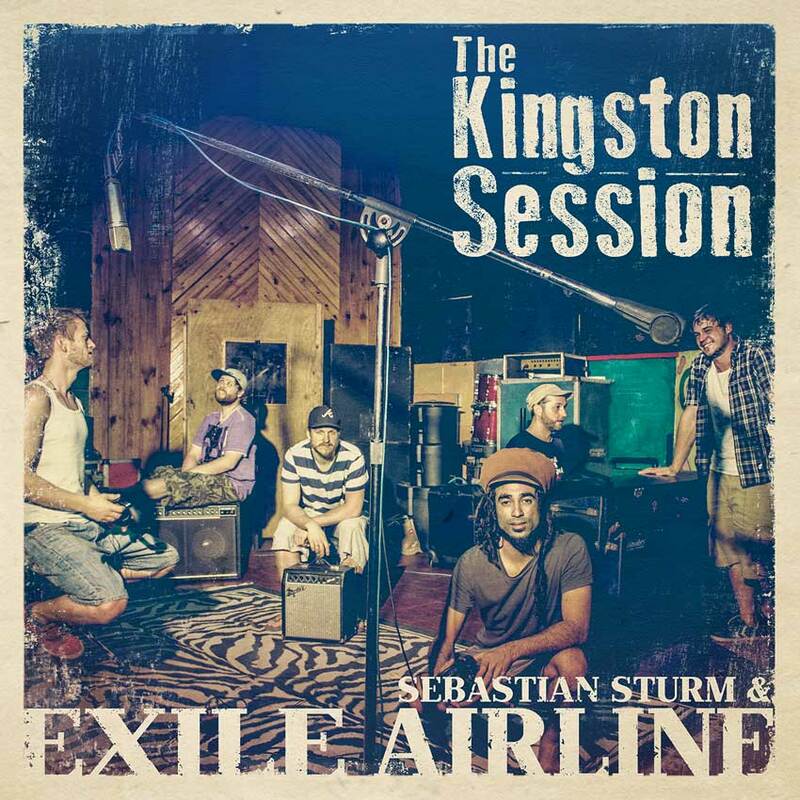 Rather than producing it in Germany, Clayton and Stephen Stewart, the producer at Harry J Studio, invited Sebastian Sturm and Exile Airline to the homeland of Reggae. In Jamaica, Clayton and Stewart turned out to be excellent tour guides. They took the band on a journey into the history and life of one of the most inspirational places in the world. Burning with creative and musical power, this trip resulted in “The Kingston Session“! In the end, the fans closed the circle, as this production was only made possible by their support, loyalty and love for music. Culture needs to be alive, and this is only possible through the connection between artist and audience. The more than successful crowdfunding of this project shows that Sebastian’s fans are far from the unengaged radio audience. With more than 10 000 Euros funded, they all signed the statement: True music is free! Photography: www.facebook.com/l.bass.photography, Samuel Clayton Jr.